Your little student can practice using blended consonant and also develop his phonological awareness in this worksheet. He’ll write words that begin with “st” in the colorful circles. 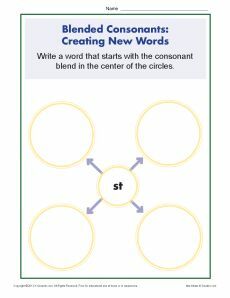 The worksheet follows the Common Core Standards for Phonological Awareness for first grade, although it may also be helpful for other grades.